February boasts three days that give us license to overindulge: Super Bowl Sunday, Valentine's Day and Mardi Gras. It would be a rare household that is not going to celebrate at least one of those three occasions. This year, along with the usual treats and snacks, try whipping up one or two desserts from around the world. The following recipes are big favorites in their native country and will be simple to make in your own kitchen. 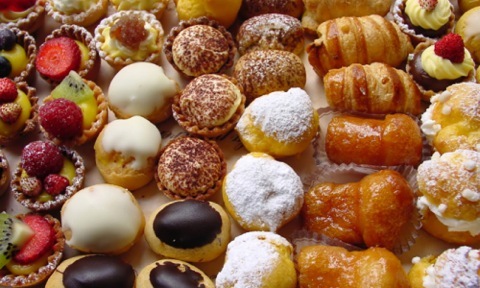 I can vouch for the Italian donuts, and the others are rich concoctions that will have you reaching for an international cookbook once you've tasted these sweet delights. The Chinese menu normally serves fresh fruit as a sweet and healthy way to end the meal. However when the Chinese do indulge their sweet tooth, the desserts are often very sweet indeed. Btw, the ground chestnut mixture in this recipe is said to represent the Mongolian desert’s yellow dust. To make peeling easier, make two diagonal cuts on the flat side of each chestnut. Simmer the chestnuts in boiling water for 25-45 minutes. Drain chestnuts, and allow to cool. Shell the chestnuts, removing all the papery inner skin. Cut the yellowish wrinkled meat of the chestnuts in half. Loosely chop. Add the chopped chestnuts into a food processor or blender, a small amount at a time. Grind into bits. Stir in 2 tablespoons sugar. Whip the cream with remaining sugar to a soft peak consistency. Divide the cream between 8 small serving dishes, making little mounds in the dishes. Sprinkle with the chestnut mixture. Garnish with candied walnuts, candied fruit or maraschino cherries. Growing up, spingi and cannoli were the Italian desserts most frequently eaten at family gatherings. Easy to prepare and convenient to serve, these sweet cinnamon donut fritters make the perfect treat while watching the Super Bowl game. Here’s Emeril Lagasse’s version of this Italian donut. 1-2 cups granulated sugar or cinnamon sugar (You may want to use 1 cup granulated sugar and 1 cup cinnamon sugar for a stronger cinnamon flavor). Heat the oil to 350-365 degrees F.
With an electric mixer, combine all ingredients, except the sugar, until smooth. Drop mixture by tablespoons into hot oil. Fry the fritters until they are cooked thoroughly and appear golden brown, about 6-8 minutes. Remove from oil with tongs and place on a cookie sheet covered in paper towels to drain. While still very hot, roll each fritter ball in the granulated sugar. Serve warm or at room temperature. A slight dusting of powdered sugar can make a nice finishing touch. ‘Tie me kangaroo down, sport!’ Here’s a delicious dessert from Down Under that spotlights three favorite fruits. 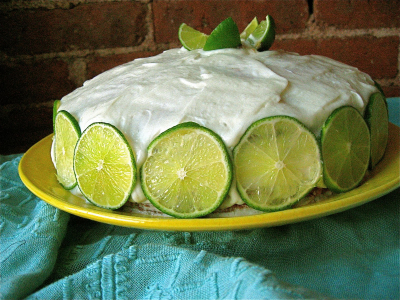 Originally posted in a slightly different variation on SydneyMarket.com, this recipe promises a moist cake filled with exotic flavor and a little zing. Five stars all around. Preheat over to 350 degrees F. Grease a 9-inch springboard pan, then line with parchment paper. In a medium bowl, combine eggs, zest, lime juice, buttermilk & mashed bananas. Whisk together until well combined. Set aside. 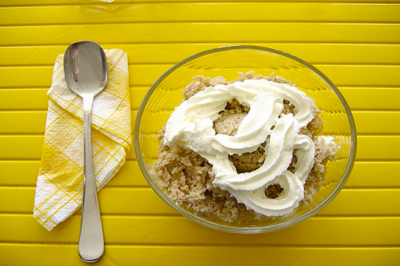 In a large bowl, using an electric mixer, beat together the butter & sugar until light and fluffy. Add banana mixture and beat on low until combined. In another bowl, whisk together the flour & baking soda, then add this to the banana/buttermilk mixture, whisking until well combined. With a large metal spoon, gently fold in only half of the coconut until just combined. Spoon the batter into the prepared springform pan and bake for 50 minutes, or until golden & a toothpick inserted in the center comes out clean. Cool in the pan for 5 minutes, then remove the springform sides before transferring the cake to a wire rack to cool completely. Meanwhile, in a pan over medium heat, toast the remaining 1/3 cup of shredded coconut, stirring constantly, until golden in color, then remove from the heat. Using an electric mixer, combine cream cheese and powdered sugar in a bowl and beat until smooth. Spread over the cake, then sprinkle with the toasted coconut before slicing & serving. 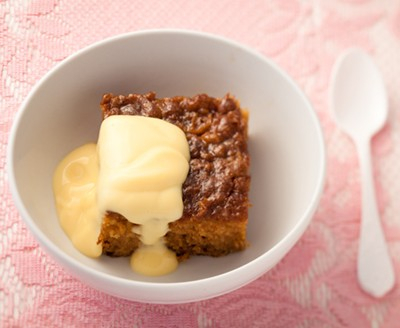 Often served hot, this apricot-based pudding is of Cape Dutch origin and a perennial favorite in South Africa. This dessert is frequently paired with the wine it was named after: Malvasia from the island of Madeira. Oprah’s personal chef served this dessert for a Christmas dinner at Winfrey’s girls’ school in Africa in 2008. A perfect cold weather treat, try serving this pudding-cake with a scoop of ice cream on the side, and you’ll see why Oprah and her students loved it. Beat or whip eggs and sugar with an electric mixer or in a food processor until thick and lemon colored. Add the apricot jam and mix thoroughly. Melt the butter (do not boil) and add the vinegar. Add this mixture, as well as the milk, to the egg mixture in the food processor, alternately with the flour. Beat well. Pour into an oven-proof dish and bake 45-50 minutes. Let stand awhile before serving. Serve warm. 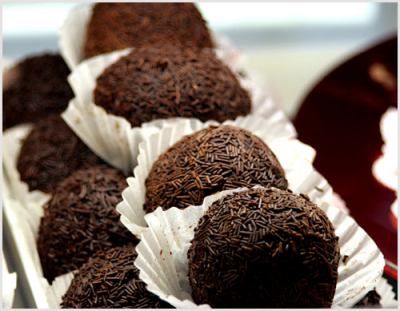 Called Brigadeiros in Brazil, this popular chocolate treat was named after devoted chocolate lover Brigadier General Eduardo Gomes in the 1940s. Delicious served chilled or at room temperature, these chocolate bon bons are often served at birthday parties in Brazil and Portugal. This Valentine's Day, bring a box of homemade Brazilian truffles to your sweetheart and watch them swoon after the first bite. Pour the condensed milk into a heavy pot. Stir in the cocoa powder and the salt. Cook, stirring constantly, over low hear. To prevent burning or sticking, keep the mixture barely at a boil. Cook for 1-15 minutes, stirring, until mixture becomes shiny and very thick. It should start to pull away from the bottom and side of pan. Chill in the refrigerator 20-30 minutes. 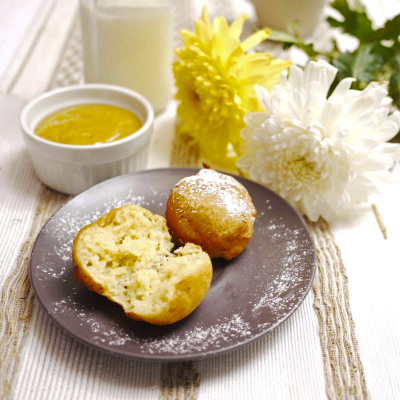 With buttered hands, roll the mixture into 1-inch balls. Roll each ball in the chocolate sprinkles, then place ball in a paper liner. Chill until ready to serve. The truffles can also be served at room temperature. 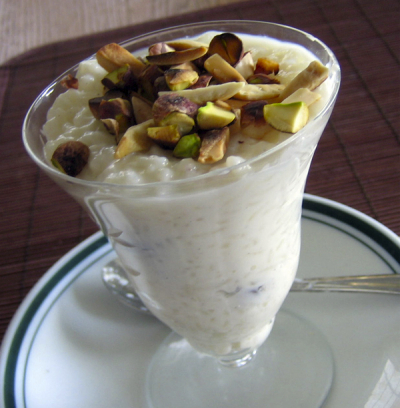 This rice pudding is arguably India’s most popular dessert. While each region of India has its own version of kheer, it basically is a sweet and creamy rice pudding without which most Indian weddings or festivals would be incomplete. Place the rice, milk and cardaman seeds in a pan. Bring to a boil, then simmer gently until the rice is soft and the grains begin to break up. Add almonds, pistachio, saffron and raisins. Simmer 3-4 minutes. Add the sugar. Stir until completely dissolved. Remove rice mixture from heat. Serve either warm or chilled. Garnish with almonds and/or pistachios.